Even long after ABC's hit series LOST ended, fans are still heading to Hawaii to see the show's filming locations. While many scenes—such as those in the cave—are filmed on a sound stage on the outskirts of Honolulu, many part are filmed on location throughout the island of Oahu. Lost filming takes place at numerous locations, most of which are easily located and accessible to the public for free. Other locations will require that you participate in paid attraction that ventures into the area where filming occurred. 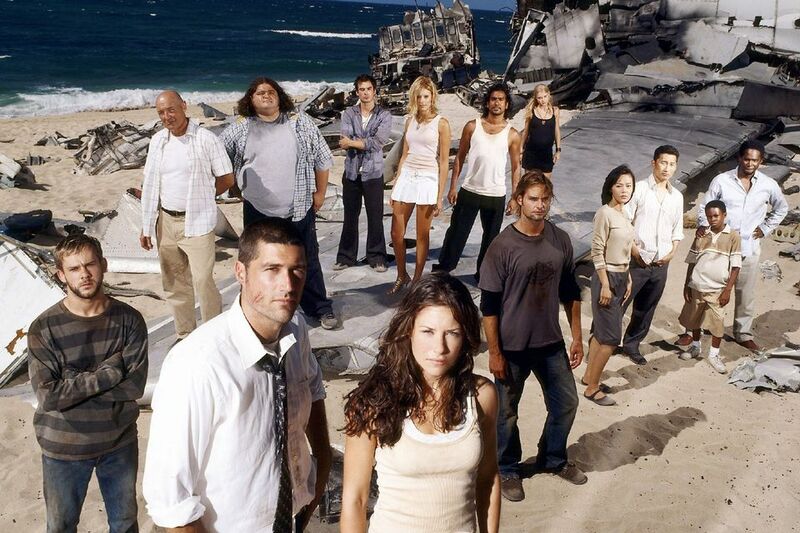 When we first encounter our group of 48 crash survivors, they are gathered around the wreckage of Oceanic Flight 815 which rests on the beach of an island somewhere between Sydney, Australia and Los Angeles, California. The actual filming location of the plane wreckage and most of the beach scenes in Season 1 of Lost was Mokule'ia Beach on Oahu's North Shore. Traveling north from Central Oahu you most likely will be driving on Highway 99, the Kamehameha Highway. As you approach Hale'iwa town, look for signs for the Farrington Highway (Highway 930). Drive west on the Farrington Highway and watch for Dillingham Airfield on your left. You'll pass Mokule'ia Beach Park on your right. The beaches that follow were the locations for principal shooting of Season 1 of Lost. Season 2 beach scenes were filmed at Police Beach near Haleiwa. Numerous scenes in Lost were filmed in the Ka'a'awa Valley on Oahu's Windward Coast. This is also the location where in Episode 3, Sayid, Charlie, Kate, Shannon, Boone, and Sawyer make camp for the night when they return from hearing the taped broadcast of the French woman. The Ka'a'awa Valley has been used for location filming for numerous major motion pictures and television productions. Here, scenes were filmed for 50 First Dates, Godzilla, Mighty Joe Young, Pearl Harbor, Tears of the Sun, and Windtalkers. The only way to venture into the valley is with permission of the owners, the Kualoa Ranch. You can take a took horseback ride tour from the ranch into the valley. The guides make sure to point out many of these filming locations. While Jack, Kate and Charlie explore the valley, back on the beach the survivors huddle under the plane wreckage in a heavy rainstorm. Suddenly the ominous sound of the "monster" is heard coming from the valley, leading Claire to say, "there it is again." The view Claire sees is actually the view that is seen looking inland from Mokule'ia Beach, the actual beach where the plane wreckage set was built. This same scene forms the background later in the Part 2 of the series pilot when Jack operates on the Marshall who was escorting Kate to the United States. Having found the plane's cockpit Jack, Kate and Charlie watch as the pilot is sucked from the plane by the "monster," Jack, Kate and Charlie flee into the jungle as they try to make their way back to the beach. They are actually running through a heavily wooded area near the Turtle Bay Resort where numerous other scenes are filmed for Lost. The Turtle Bay Resort is located near Oahu's most northerly point. You can drive northeast from Haleiwa on the Kamehameha Highway or approach it from the other direction where it is about 10 minutes past the Polynesian Cultural Center in La'ie. If you're not a guest at the Turtle Bay Resort, you may be asked to pay a fee to park. There is a security gate that you must pass to reach the resort. They can't refuse you entrance since all beaches in Hawaii must have public access. Past the golf course and tennis courts to the left, you can spot the horse stables. After you park you'll want to head in that direction and follow the markers for the west/green trail which will take you through numerous filming locations for Lost. This same wooded area near the Turtle Bay Resort is also the site of the banyan trees which have been used several times in the filming of Lost. It was here where in Lost Season 1, Episode 11 that Charlie is strung up in the tree by his neck by the mysterious Ethan. Kate is able to cut Charlie down and Jack is finally able to resuscitate him. It is also here where in Lost Season 1, Episode 14 that Walt is trapped inside the banyan tree as a giant polar bear lurks outside. Only with the help of Michael, his father, and Locke is Walt rescued. Michael eventually plunges the knife into the polar bear's neck, injuring it and forcing it to flee. One of the most beautiful scenes in Lost takes place in Lost Season 1. Episode 6. This is the episode which features the first part of the back story of Jin and Sun. As we know Sun is the daughter of a rich and ruthless Korean businessman. When we meet Jin he is a waiter at a party being hosted by Sun's father. We soon learn that the couple is in love and that Jin intends to ask Sun's father for permission to marry his daughter. Having obtained permission to marry, Jin formally proposes to Sun on a bridge outside her father's stately home. This scene was filmed at the Byodo-In Temple which is located in the Valley of the Temples off of the Kahekili Highway (83) in Kane'ohe. This is actually a bypass road that allows you to travel north to the shoreline of East Oahu. If you take the Likelike Highway from Honolulu watch for signs for the Kahekili Highway (83) north. The Sydney Airport is an important location for numerous scenes in the first season of Lost. It is, of course, from here that Flight 815 leaves on its doomed flight to Los Angeles. Instead of traveling to Sydney, Australia, however, Lost utilized the beautiful new Hawaii Convention Center as its set for the Sydney Airport. The glass-front center opened in 1998 and features a rooftop tropical garden, glass-encased meeting rooms and outdoor function spaces lined with giant palm trees. The architects gave special attention to the idea of relating the building to its Waikiki environment and Hawaii's history and culture. Volunteers conduct tours through the Center for groups of 10 or more by appointment only. One-hour tours can be arranged on Wednesday and Thursday at 9 a.m. and 11 a.m. You can, however, usually walk into the foyer area and escalator area where scenes from Lost were filmed. The Hawaii Convention Center is located at 1801 Kalakaua Avenue in Honolulu right near the border of Honolulu and Waikiki. Lost Season 1, Episode 20 is an episode that raises many more questions than it answers. It is a back story about Jack. We learn that Jack has saved the life of a woman named Sara in an automobile accident and in the course of her recovery they have fallen in love and intend to be married. Whether Jack and Sara are actually pronounced man and wife has not been answered. Nor do we yet know what has happened to Sara since Jack never has mentioned her on the island, nor does he wear his wedding ring. The location where their wedding was filmed was at the world famous Kahala Hotel & Resort, just east of Diamond Head. The wedding scene was filmed at the wedding gazebo on the east end of the property near the shoreline. Hurley's golf course is located within the Ka'a'awa Valley quite close to the location where Dr. Alan Grant (Sam Neill) and the two children encounter a large herd of duckbills and hadrosaurs fleeing from a ferocious T-Rex in Steven Spielberg's Jurassic Park. Hurley (Hugo Reyes) is one of the most popular characters on Lost. In Lost Season 1, Episode 18, Hurley has won the lottery and decides to surprise his mother with a new house. He blindfolds her and drives her to the new home, only to watch it burst into flames right before his eyes. The home used for this scene is located in the Kahala neighborhood of Oahu, just east of Diamond Head. This area has some of the most luxurious homes on the island. The Oceanic 6, once eager to leave the island are persuaded or forced to return. They board Ajira Airlines flight 316 en-route to Guam only to once again pass through the anomaly that transports several of them back to 1977. In Lost Season 5, Episode 6, Hurley and Kate arrive back on the island in the pond near the waterfall first seen in Lost Season 1, Episode 12. Jack arrives nearby in the jungle and rushes to their aid, diving into the water from the top of the waterfall. This waterfall and pond are located in Waimea Valley, which has 1,875 acres of land and has been a sacred place for more than 700 years of Native Hawaiian history. Ever since the end of Season 1, the second beach camp of Lost has been the scene of many of the series' most exciting moments. It has long been rumored that when Lost became an instant hit in 2004 the original beach set at Mokule'ia suddenly became a mecca for Lost fans, hence the need to move the camp to a more remote location. The location which was chosen was Police Beach or Papailoa Beach, just east of Haleiwa off of the Kamehameha Highway. In order to reach the beach camp, you'll need to park at the small parking area at the end of Papailoa Road and take the narrow public access path to the beach. You'll then make a left on the beach and hike for about 15-20 minutes to the set location. The set itself is on private property and is marked by yellow tape. You can, however, get close enough to take photos. How much you can do there all depends on the security guard on duty. Mr. Eko's character joined the cast of lost in the show's second season, and for many fans his tenure on the show was much too short. Mr. Eko grew up in Nigeria in a small village. He looked after his younger brother Yemi. When a gang of guerrillas raided their village, Eko came to his brother's rescue when his brother was ordered to shoot an old man. Eko took the gun and shot the man himself, sparing his brother from the task. The guerrillas took Eko under their wing and soon he became their leader and drug lord. His brother grew up to become a priest. Featured in Lost Season 2, Episode 10, the Nigerian village was actually located near Oahu's North Shore in the town of Waialua at the site of the former Waialua Sugar Mill. Of all of Lost's filming locations none is more popular than the Barracks (or the village of the Others). It is here where the Dharma Initiative made its home on the island and where, after the Purge, Ben and the Others lived. Season 5 of Lost made extensive use of this site for most of the episodes featuring the Dharma Initiative. The Processing Center is where the new Dharma recruits receive their work assignments and uniforms. The Dharma Processing Center is actually the Assembly Hall for YMCA Camp Erdman located near Mokule'ia Beach on Oahu's North Shore. If you visit this Lost filming location, please note that it is private property. You must stop by the camp office and ask permission. A small donation to the camp will usually help ease your way.